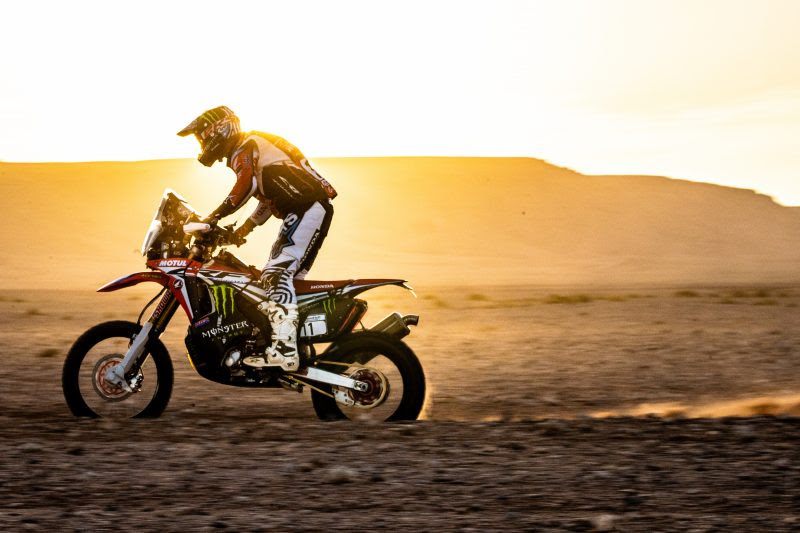 The Morocco Rally has concluded with a Honda CRF450 RALLY on the final rostrum. 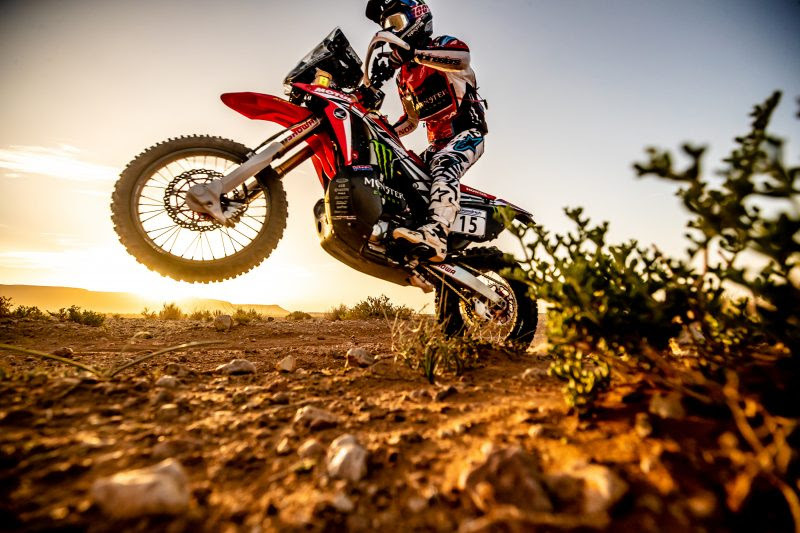 Monster Energy Honda Team’s American rider Ricky Brabec, who triumphed on the final day, takes third place overall for the second year running, in what proved to be as a gruelling rally. 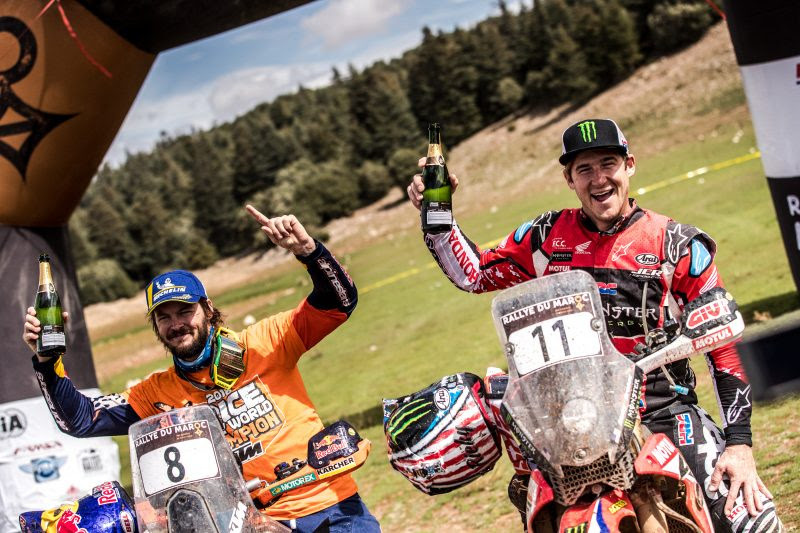 American Ricky Brabec wrapped up the Morocco Rally with a big smile after prevailing in the final stage. 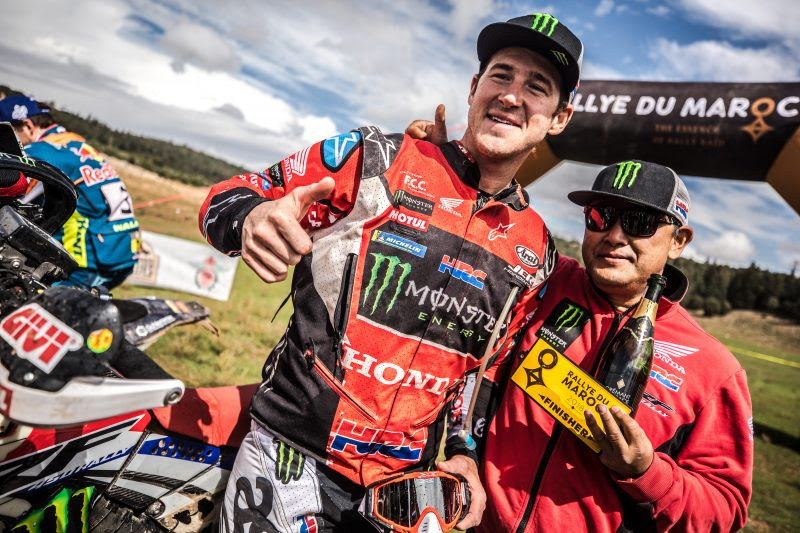 The rider from the Monster Energy Honda Team also secured a final place on the rally’s podium as the FIM Cross-Country Rallies World Championship season concludes. 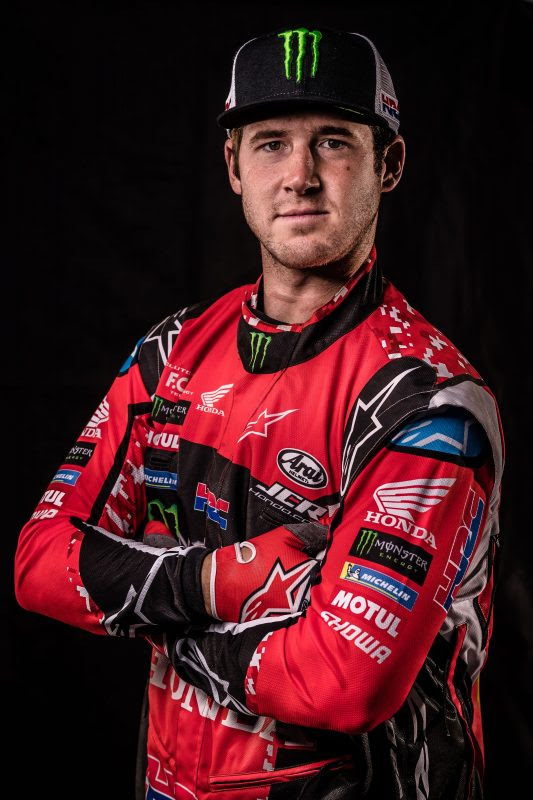 Brabec finishes the campaign in fifth overall position. This wasn’t the first time that Brabec has won a world championship stage – he did so last year with a partial victory in this same race with an identical third-place podium outcome. 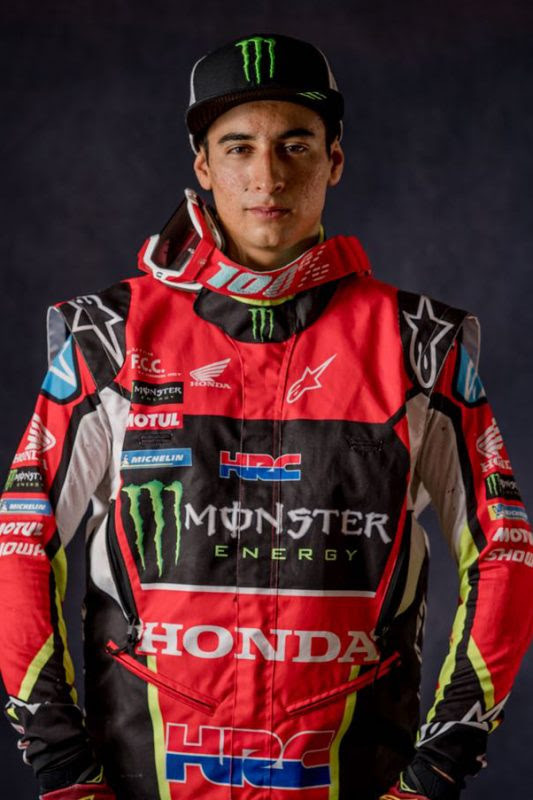 Brabec’s Monster Energy Honda Team comrade, the Portuguese rider Paulo Gonçalves, finished the stage in fifth position, which earned him fifth place overall too. 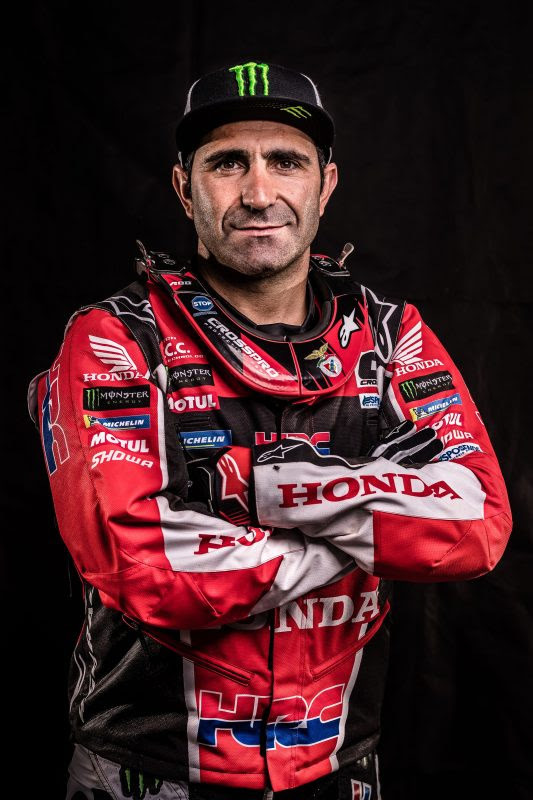 Paulo, who had been in the battle for the race leadership, suffered a fall in the third stage that forced him to ride a more prudent pace to ensure an injury-free finish. 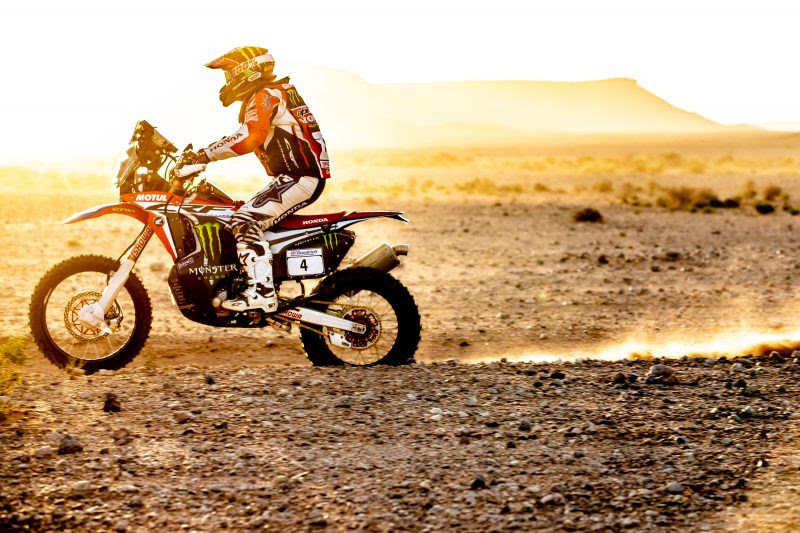 The rally is the final one before the season’s blue riband event: the Dakar 2019. 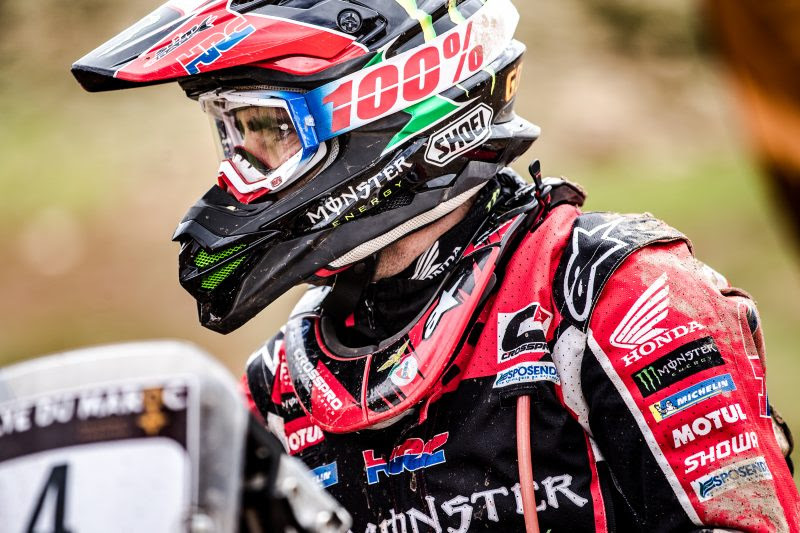 Paulo ends the world championship season in fourth overall position. 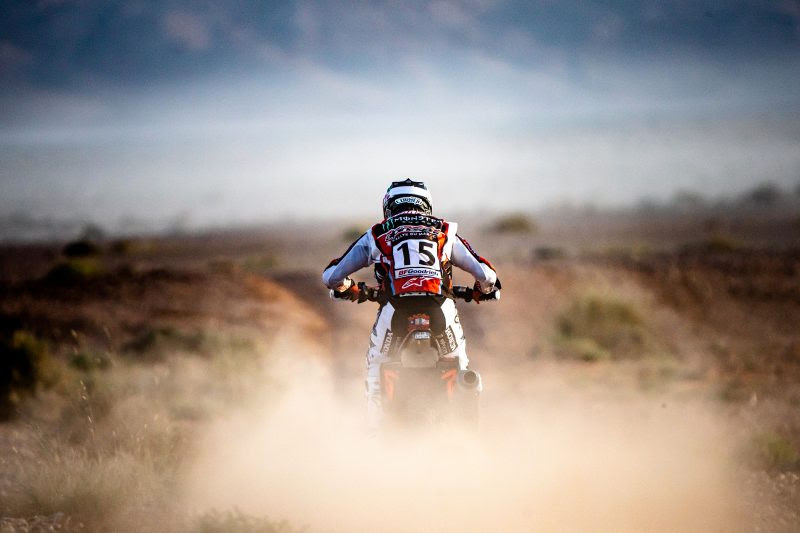 José Ignacio Cornejo, who finished the stage in the fifteenth position and occupied eighth place overall, also rode cautiously. Cornejo, despite not participating in two world championship events, finishes runner up in the junior category. 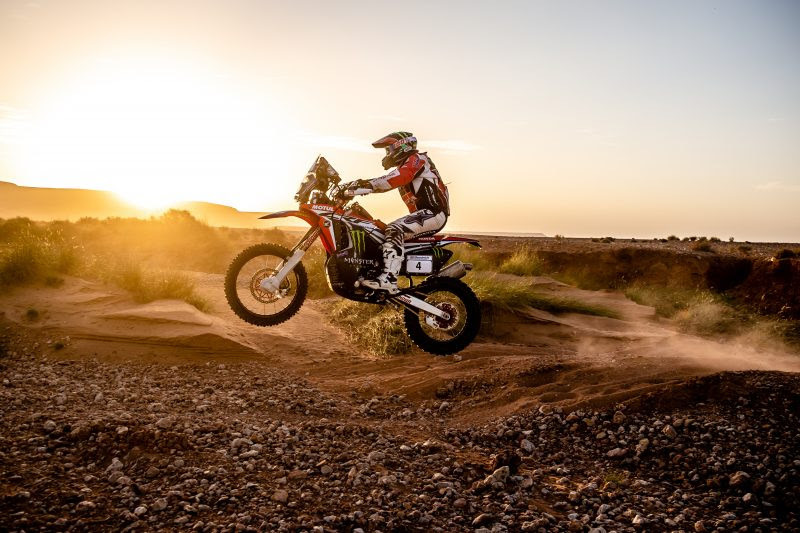 The Morocco Rally was the final date for the Monster Energy Honda Team before the 2019 Dakar Rally, which begins in January in Peru. We finish this last race of the world. I started with a good pace, but the third day, with a fall, made me lose the rhythm. I managed to finish after two editions without being able to reach the end. I am quite happy because I found the speed, and physically I’m there too. In addition, Monster Energy Honda Team has done a great job here. We will continue along this line which is proving to be the right track. Now we have three more months to continue with maximum motivation to reach the great race in the best possible conditions and help the team to do their best. The final stage of the rally was a good one. It was a great way to end the rally and get the final race of the year under control before the Dakar in a good and positive way. 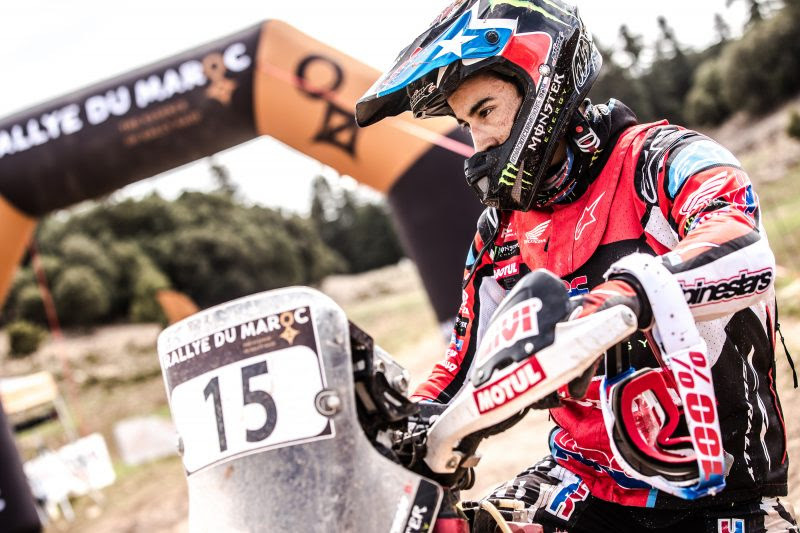 I’m very happy and looking forward to the Dakar. It was more or less my type of riding with a lot of rocks and trial areas which was really fun. Then we got up into the mountains where the tracks were a lot more visible and fast and sliding. It’s always good to drift the bike around. It feels good to be going home. We’ve been in Africa for way too long. 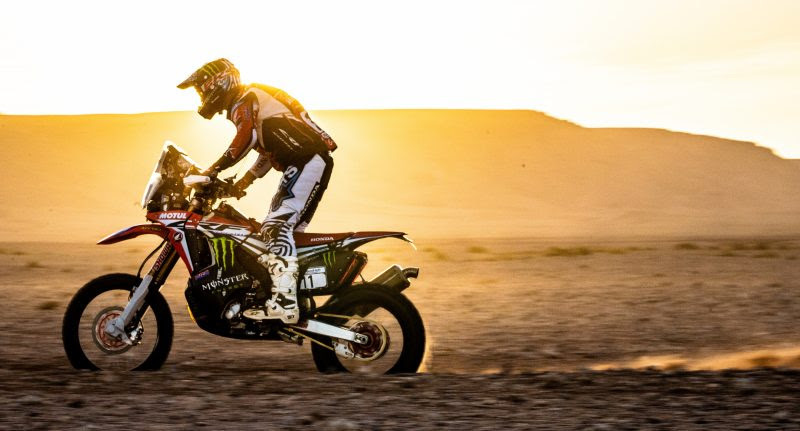 I’m looking forward to a couple of weeks before the Dakar to get some nice recharge time.